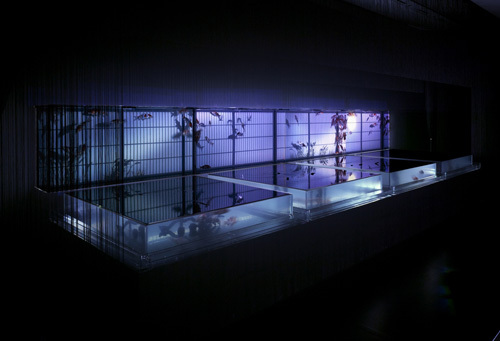 The 2013 ‘Art Aquarium’ exhibition opened on 12th July in Tokyo and features a series of aquaria designed by contemporary artist Hidetomo Kimura. 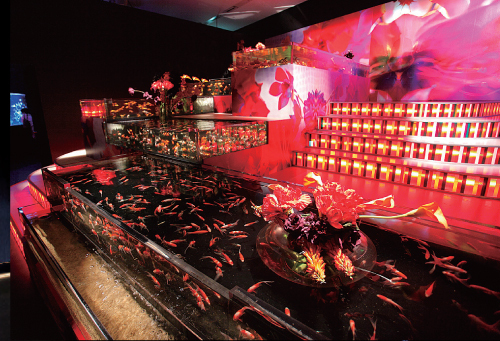 The theme of this year’s installations is ‘Cool Goldfish of Edo’ in reference to the period of time when keeping goldfish first became popular in Japan and includes over 5000 fish of various ornamental strains including parrot cichlids and several types of goldfish. 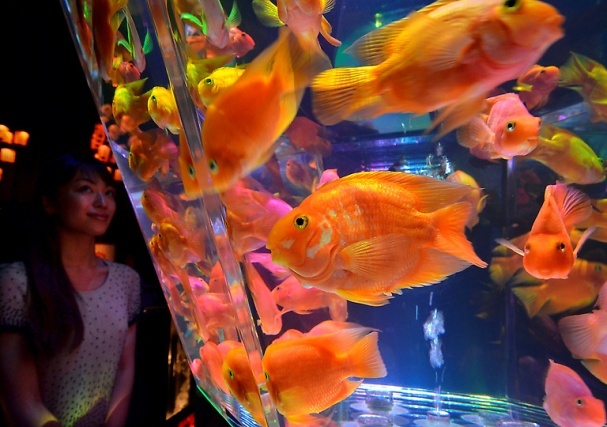 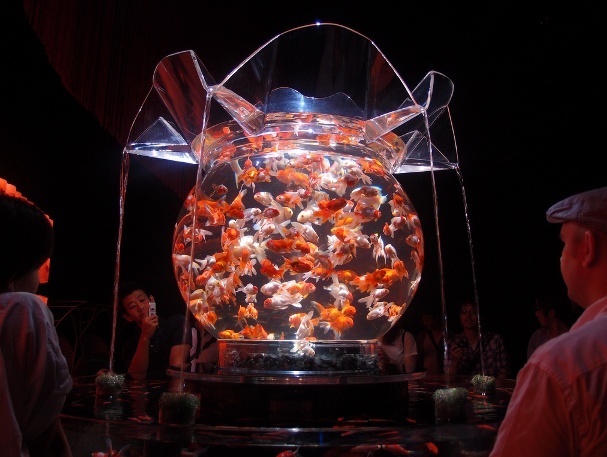 The highly-modified aquaria also feature video and light displays, with the oversized goldfish bowl ‘Oiran’, containing 1000 goldfish, the star attraction. 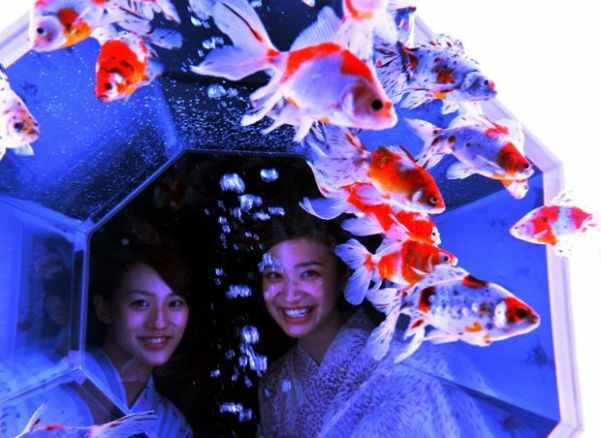 Others include an 8-meter long ‘Four Seasons Aquarium’, kaleidoscope-themed ‘Kaleidorium’ and screen (byoubu) ‘Byoburium’. 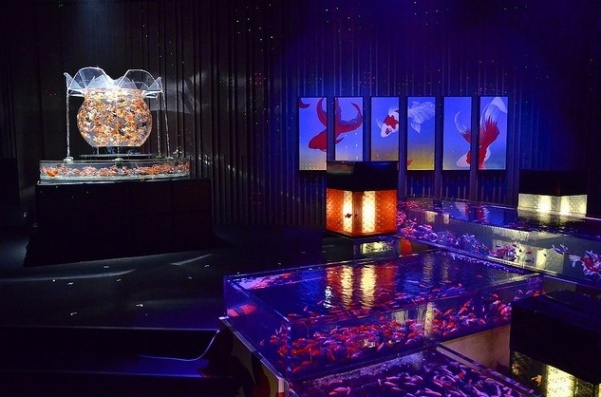 The exhibition is at Nihonbashi Mitsui Hall and runs until 24th September. 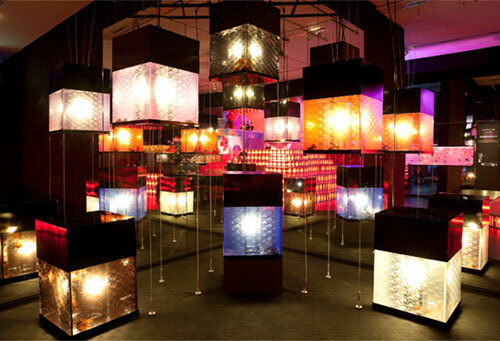 The displays certainly make an immediate visual impression but what do you think about the concept in general? 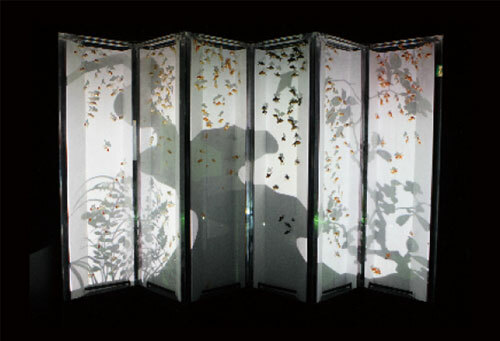 Should these be considered as works of art, expensive furniture, or something else?